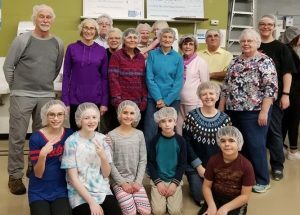 Southminster regularly participates in FMSC outings several times a year. If you are interested in volunteering with us, please email Sue Peterson speterson403@comcast.net. When Rev. Linda McCarty, former resident of Arlington Heights and CEO of the nonprofit Faith in Practice, asked for help from Southminster Presbyterian Church to furnish a chapel at the Hospital Hilario Galindo Hospital in Retalhuleu, Guatemala, our Mission Team jumped at the chance. 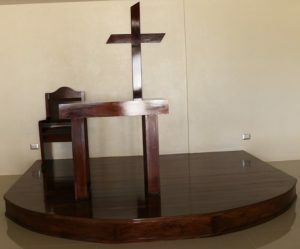 Recently, Faith in Practice renovated the Hospital Hilario Galindo, adding an attached chapel where patients and their families could worship and pray. 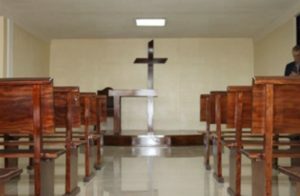 Southminster members provided the funds for Guatemalan artisans to build pews and a pulpit, riser, communion table and cross. Rev. McCarty served as an associate at Southminster before joining Faith in Practice. For years, the church has supported the organization’s mission to improve the physical, spiritual, and economic conditions of the poor in Guatemala through short-term surgical, medical, and dental mission trips and health-related educational programs. Last year, more than 1,200 U.S. volunteers worked beside 900 Guatemalan volunteers to serve more than 25,000 Guatemalan patients. We take Southminster’s service beyond Arlington Heights’ borders. We volunteer with Chicago groups like Kidz Korna, which works against youth violence and child abuse, and Starfish, which offers children homework help, recreation, art projects and moral teaching. We travelled to Washington, Ill., to help the town recover from its tornado, to Florida to deliver relief, and to New Orleans after Hurricane Katrina. None of this can happen without people like you. Let us know how we can help you help others. Several of us have joined medical teams as nurses that flew to Guatemala to perform free surgeries. Some at Southminster have come up with their own ideas for a mission trip. We gave them grants to make it happen. They have traveled to Uganda, the Dominican Republic, and elsewhere. We assemble rice-and-bean packs for Feed My Starving Children. We make hygiene kits for Church World Service. Our Share Your Soles shoe drive collects over 300 pairs every year. What kind of volunteering calls to you? We’d like to hear your ideas and have you join us.